Scheduled for later this week is the 18th intercept test of the Ground-based Midcourse Defense (GMD) system since 1999, and the 10th since the system was declared operational in 2004. What do we know about the test, and what’s riding on it? The GMD system is, after more than 15 years on an accelerated deployment schedule and on order of $40 billion spent, still essentially an advanced prototype. It has serious reliability issues. 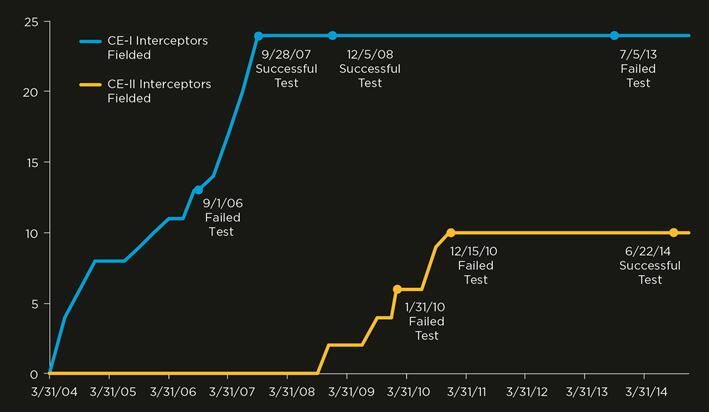 In 9 of the 17 intercept tests since 1999, the kill vehicle failed to destroy the target. The test record has not been getting better over time as you would expect for a system that is maturing. And the tests have still not been done under realistic conditions. The Missile Defense Agency (MDA) has said the upcoming test will be the first test against an intercontinental-range target missile. Defending against long-range missile is, of course, what the whole system is about. MDA classifies targets for the GMD system as intermediate range ballistic missiles (IRBM) (3,000-5,500 kilometers (km) or 1,870-3,400 miles) and intercontinental ballistic missiles (ICBM) (greater than 5,500 km or 3,400 miles). This test will apparently use a three-stage ICBM-range target. That leads to an important issue: what do we know about the target and how representative is it of what the US might face? I was able to get the hazard zones for the test from the published Notices to Mariners for May 31-June 1, which are plotted in white in Google Earth. 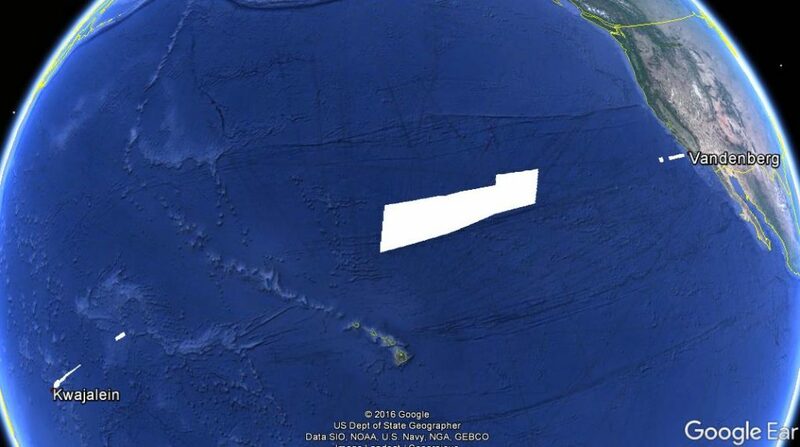 Figure 1 shows the zones where the stages will land from the launch of the target missile from Kwajalein and the interceptor from Vandenberg. These zones indicate the direction those missiles were launched. The large white region in the center is where debris from the intercept would land. These zones allow us to determine that the target and interceptor will meet essentially head-on, and allow us to estimate the range of the target missile. A straight flight out of Kwajalein (thin white line in Fig. 2) would send the target north of the intercept zone, so the target missile apparently maneuvers during boost phase to follow the light blue line and make the collision with the GMD interceptor (yellow line) more head-on. The hard limit of the range of the target is about 5,800 km (3,600 miles). If its range were any longer, it would land east of the hazard zone. So the target appears to be just slightly longer than the minimum range (5,500 km or 3,400 miles) considered to be an ICBM. One important factor in a missile defense intercept is the closing speed of the engagement, how fast the distance between the target and interceptor disappears. This depends on the speeds of both the target and interceptor and the angle at which they approach. The angle of attack is significant: a head-on collision maximizes closing speed and a tail chase minimizes it. Faster closing speeds give the interceptor less time to make course corrections, and are therefore more stressing for the interceptor. Table 1 shows the burnout speeds of missiles of various ranges on standard trajectories. The conclusion I make from this is that the upcoming missile defense test is likely to be against an ICBM-range target that is marginally longer range than an IRBM, but significantly shorter range than missiles North Korea would need to target the United States. The closing velocity may be larger than the earliest tests of the system, which have been at significant crossing angles or with slower targets. The closing velocity is not likely to be significantly higher than recent tests against intermediate-range missiles, which also used a near head-on geometry. While that may seem an obvious criterion, that’s not the way GMD business has been done in the past. All (or nearly all) other currently-fielded GBI were fielded before they had completed a successful intercept test, as is shown in Fig. 3.